After giving a booster dose of 50-basis point rate cut at its last meet, the RBI is likely to keep key policy rates unchanged on Tuesday, adopting a wait-and-watch approach ahead of the Fed meeting amid concerns over inflation that has been inching up in the last three months. Reserve Bank Governor Raghuram Rajan will announce the fifth bi-monthly monetary policy review on December 1. "I think Rajan will wait for the Fed move. He will not change the rates," UCO Bank Managing Director and Chief Executive RK Takkar said. Another state-run lender United Bank's executive director Sanjay Arya said he also expects a status quo on Tuesday. "There are concerns about inflation and I don't think there is going to be any change. 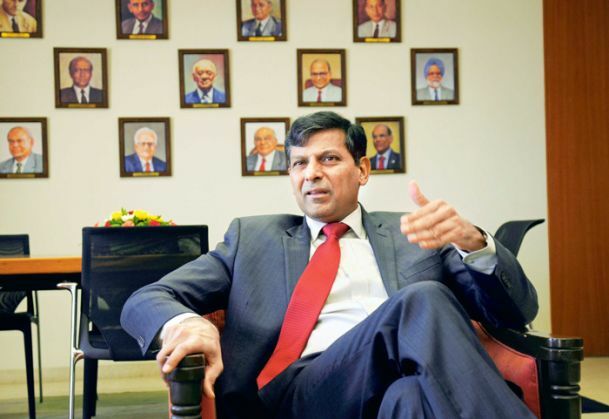 Rajan is likely to hold rates this time," he said, however, adding in the long-term the rates have to come down due to dis-inflationary pressure. Moreover, analysts at American brokerages Citi and Bank of America Merrill Lynch also ruled out any surprise this time. "We expect Rajan to pause on Tuesday, given the 50 bps surprise cut last time. He should cut a final 25 basis points in February," BofA-ML said in a research note. Citi also echoed similar views saying "following the 50 bps front-loading in September, RBI will maintain status quo on Tuesday as significant uncertainty exists ahead of December Fed and the upcoming Budget." Industry body Assocham also expects the apex bank to keep the benchmark rate unchanged with global factors influencing its stance. "Fast changing geopolitical situation in the Middle East and the increased terror threat with consequent economic costs will surely weigh on the RBI's policy stance which is not expected to give any more cut in the interest rates in the ensuing review," it pointed out. The US Federal Reserve is expected to affect its first hike in nearly a decade at its two-day meeting from December 16. The US repo rate has been at 0-0.25 per cent since the 2008 global credit crisis. Citi said the impact of the seventh pay commission, which suggested a 23.55 per cent hike, involving an additional burden of Rs. 1.02 trillion annually, on the Budget also warrants a cautious stance for now. At the September 29 policy, RBI had reduced the repo rate by 50 bps to 6.75 per cent from 7.25 per cent. Some marketmen feel retail inflation, which inched up to 5 per cent in October remains a worry. CPI stood at 4.41 per cent in September and 4.62 per cent in October. In the last policy, RBI had said inflation was expected to reach 5.8 per cent by January 2016. Experts said the central bank is now likely to reduce rates in February after the Budget announcement. While BofA-ML sees a 25 bps cut in February, Citi said it sees a 25-50 bps rate easing through 2016. "Given our view of CPI inflation averaging at 4.8 per cent in FY17 and RBI's comfort range on real rates at 150-200 bps, we maintain our view of further 25-50 basis points reduction in policy rates in 2016," Citi said.